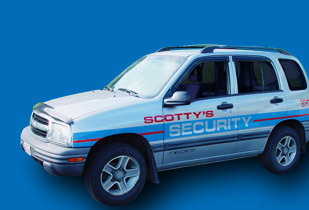 Scotty's Security and T&G Employment Screening provide pre employment investigations in the Western Maryland area. Spending the time and resources to train an employee who ultimately does not work out is expensive and disruptive to your company. Employers are also at the mercy of negligent hiring suits if a poorly selected employee is guilty of misconduct while on the job. Additionally, research shows that one in three Americans lie about job credentials. In this world of technical specialization and employment responsibility, it is more critical than ever before that a potential employee check out. If your company is sued because of actions of an employee, reasonable doubt and prudent measures were demonstrated by your company at the time of hire due to a pre-employment background investigation. If an employer may not have an applicant's SSN, T&G Employment Screening can search our national database to find previous addresses and SSNs. This search is important in verification of previous reported residences, and can be compared to stated employment history. This is another important check to help verify the identity of an individual. The SSN checks range from a basic report (showing applicant's name and addresses) to an extensive report (applicant's name, current address, previous addresses, telephone number, previous employers, date of birth, and names, addresses, and telephone numbers of current and previous neighbors). SSN searches also help reveal resident localities that may warrant a criminal record search. Verifying salaries, positions, responsibilities, and dates of employment demonstrate applicant disclosure and are the cornerstone of any thorough screening program. This is a critical check to verify a candidate's qualifications for a position. Today's technical knowledge requirements puts your business at risk if an employee cannot perform to expectations. Educational degree, major, dates attended institutions, and graduation dates are items obtained in the search. This report is a must for any person considered for a driving position of any type. 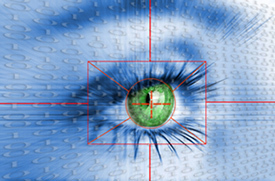 It is the first step in DOT certification and another way to verify identity. Driving records also point out behavior issues, such as drug/alcohol abuse, impulsive behavior, and financial irresponsibility. This is a very important check for anyone considered for a position in financial trust. The report will show an applicant's history of financial credibility--a valuable tool in considering entry level through top level financial managers. Employee fraud and deception are important factors for skyrocketing workers comp insurance premiums for employers. This check is important for candidates considered for manual labor, patient care, assembly line workers, or any other position requiring physical exertion. It is imperative for an employer to screen out applicants that have a dubious history of workers comp claims. Employers can help protect themselves against negligent hiring claims and demonstrate due diligence by running a background criminal report. This search is a must when considering a candidate who will work with cash, finances, equipment, one-to-one customer interactions, or unsupervised for long periods of time. The search can also uncover potentially violent or dangerous applicants. T&G Employment Screening can conduct various types of additional background investigations depending on the client's needs. Other checks possible include: bankruptcy filings, judgements levied against an individual, asset development, and civil suits. Our agency can custom design a complete screening package targeted to your organization. Employment screening services are performed per requirements of the FCRA. T & G Employment Services has provided The PharmaCare Network with background checks on job candidates for at least the past 4 years since I have held the position of Human Resources Director. I have been very pleased with their service and their final product. The product they provide is not only done in a timely fashion it is also thorough. The staff of T & G spots incomplete information on our employment application that is missed by the applicant from time to time and brings that to my attention very soon after they have received it. This quick attention to detail has saved us turnaround time. Their final report has always included all the areas that we have requested to be researched. In addition to being responsive, the staff are professionals. When regulations change and they may have to explain something to me they are clear, concise, and patient. I do not hesitate to recommend T & G Employment Services. Lions Center for Rehabilitation and Extended Care have worked with T&G Employment Screening for many years. They have provided us with fast, efficient service throughout the years. Many times we receive the results in the same day. Any time we call them with the staff goes out of their way to accommodate us. They are very professional, and it is a pleasure to work with them. ... We have used T&G Employment Screening for several years and have been very happy with the results. The information comes back to us in a timely manner via email and is then followed up with a hard copy in the mail. T&G has been very professional and we plan to continue using their service. We are happy to use a local business for our needs. T&G Employment Screening is always very prompt in getting our pre-employment background checks back to us. This is very helpful in moving the hiring process along quickly.